The formation of the descending wave  continues. 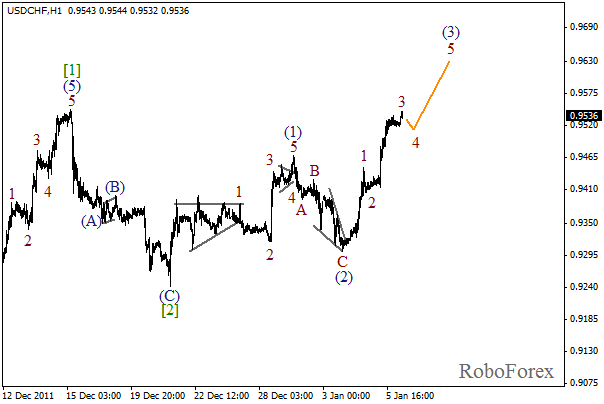 The bulls are just several pips away from the maximum of wave . Most likely, it will be broken on Friday. The target for the next several days is at the level of 0.9700. 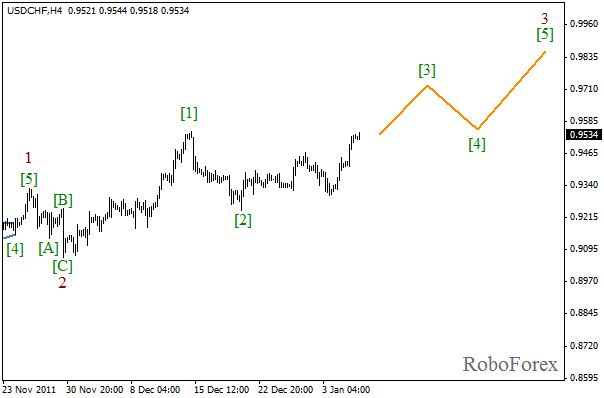 As we can see at the H1 chart, the price is forming a rising impulse inside wave (3). Most likely, the price will continue growing even after completion of the fourth wave on the minor wave level. One should pay attention to the fact that wave 3 is several pips shorter than wave 1, so wave 5 shouldn’t be longer than wave 3. The price continues forming an extension in wave (3) with the third wave inside it. The bulls were able to reach a new local minimum. 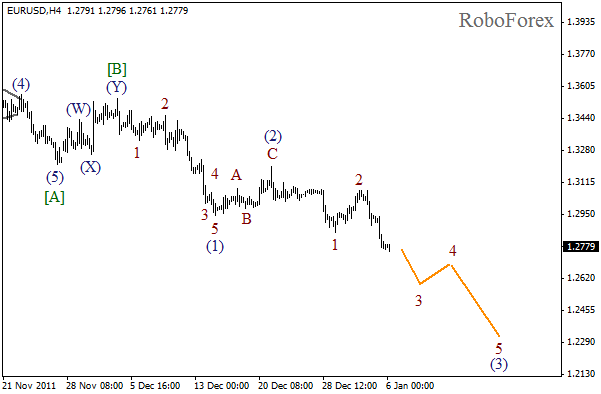 An overall forecast is still bullish, the short-term target is at the level of 1.2500. 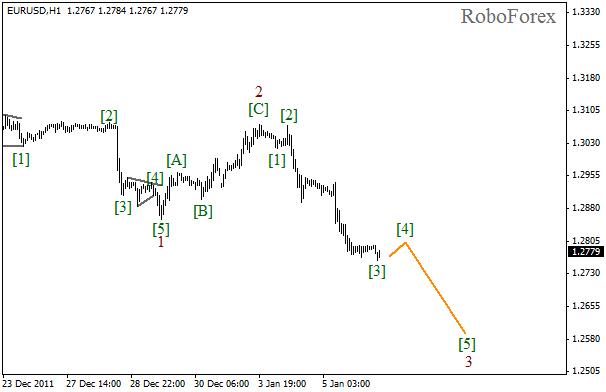 At the H1 chart the price is forming a descending impulse inside wave 3. On the minor wave level we can see that the third wave has been completed. In the near term, we can expect the correction to start, and after it is finished, the price will continue falling down while forming wave  of 3.